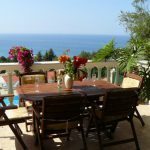 Villa Romantic at Corfu Island is a luxurious villa and includes a private swimming pool, a garden and a private parking area. 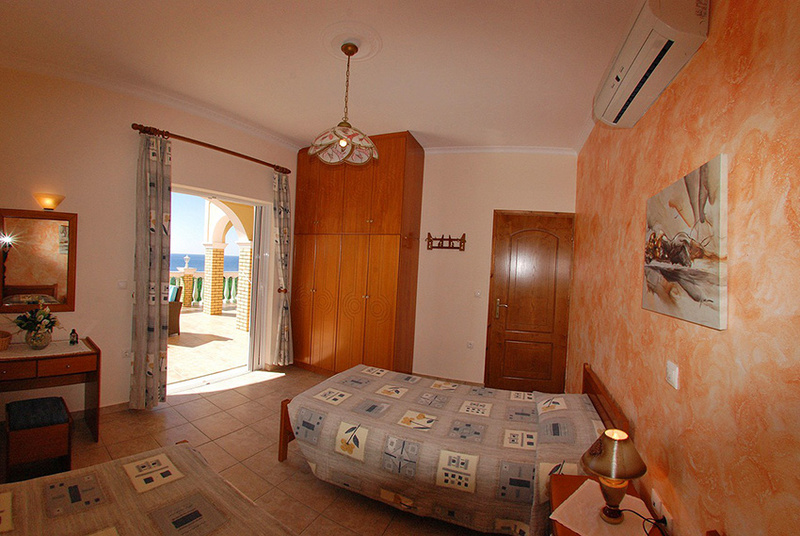 It is ideal for families, couples as well as for nudists. 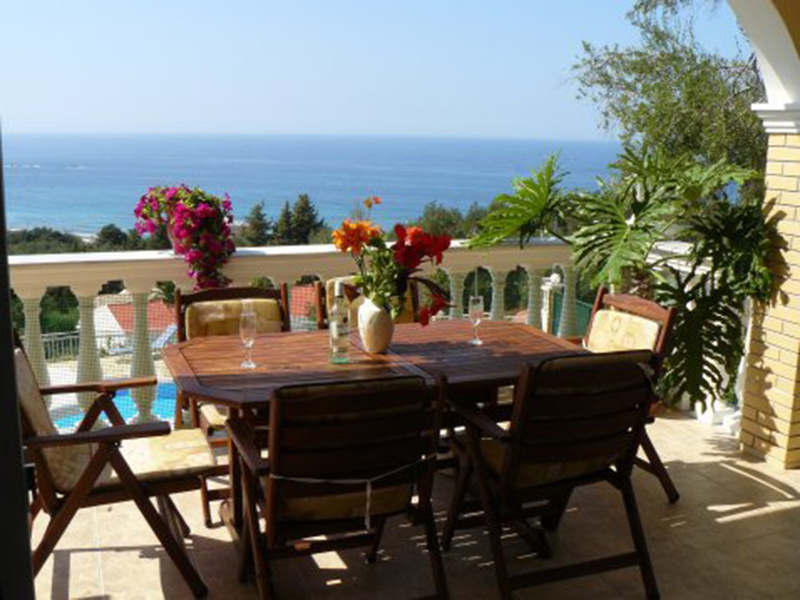 Villa Romantic is located on the south-west side of the island of Corfu, approximately 22 kilometres way from the centre of Corfu town, the airport and the harbour. Two kilometres away from the villa you can find one of the largest and most picturesque villages in the island, Agios Mattheos.This is the place where you can do your shopping, as the village has super-markets, butcher’s shops, greengrocer’s shops and where you can also sip a cup of coffee in one of the villages cafés. In Aghios Mattheos you can also find a pharmacy as well as a post office. The absolutely wonderful and crystal clear water of the Paramonas beach is only 500 metres from the villa. 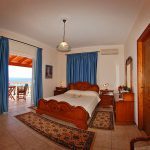 On Paramonas beach you can find four or five tavernas and restaurants where the visitor can enjoy fresh fish as well as dishes from the delicious Corfiot cuisine. It is a luxurious 145-square-metre villa suitable for 6 to 8 people with a garden, a 65-square-metre swimming pool as well as a private parking area. It consists of 3 bedrooms, 3 bathrooms, a comfortable living room, a fully equipped kitchen- with a microwave oven, a coffee maker, a teapot, a toaster, a small grill etc.-. 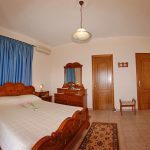 The villa is air-conditioned and also has satellite TV, a DVD player, a telephone and fax machine and it also provides the possibility of Internet access on ADSL connection, a washing machine and naturally large balconies with panoramic view. 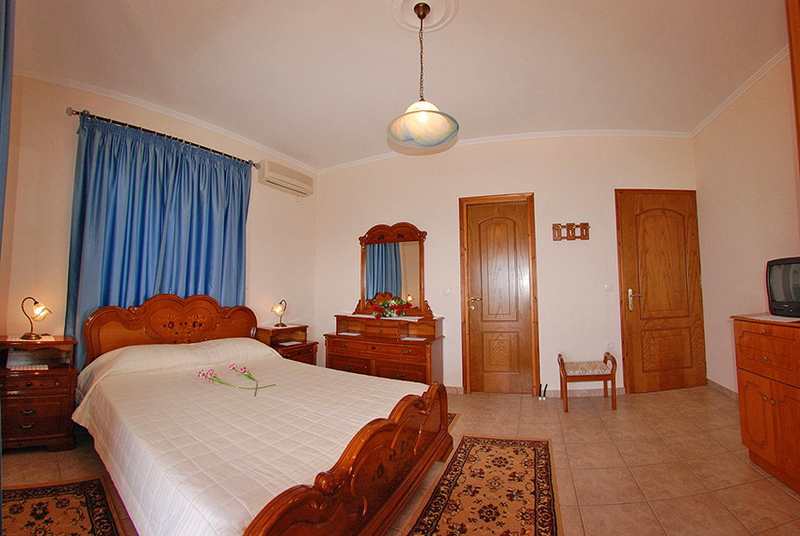 The Romantic villa was built at the end of 2002 in a bungalow style. On the ground floor of the house there is a fully equipped kitchen, a spacious living room and a dining area of 45 square metres. 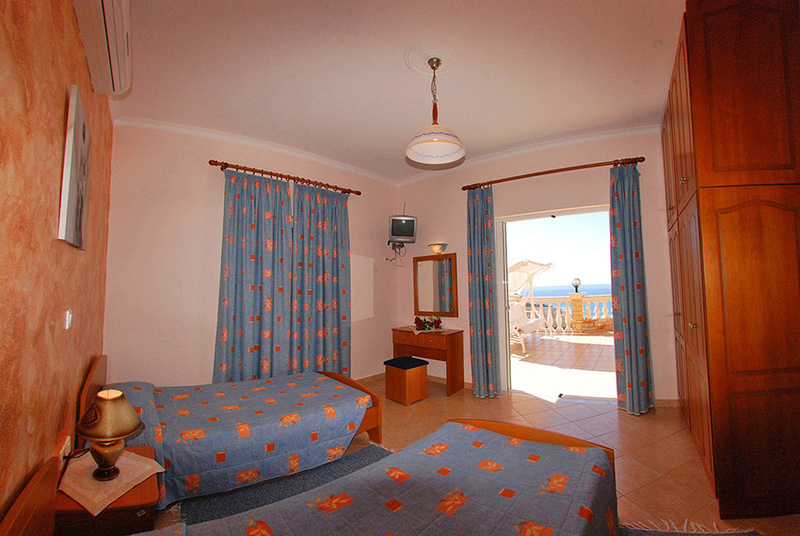 The room is air-conditioned and disposes of satellite TV, a DVD player and a telephone and fax machine. 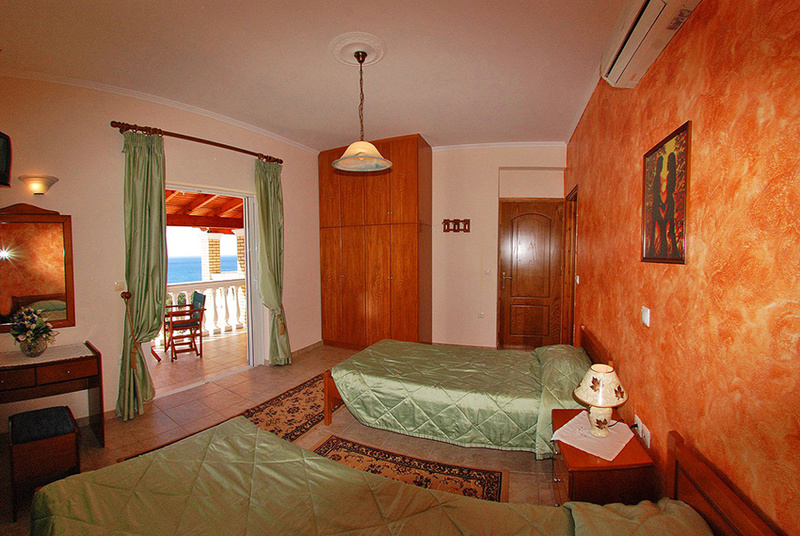 The bedroom on the ground floor has two single beds, a wardrobe, an air-conditioning device and satellite TV. There is also a W/C with a shower and a washing machine on the ground floor. 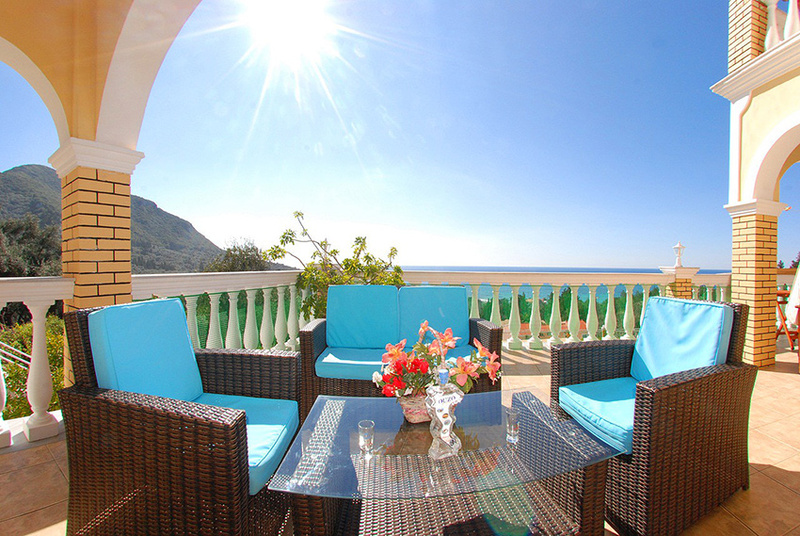 The ground floor balcony is spacious- 45 square metres- and also has a dining table with chairs. 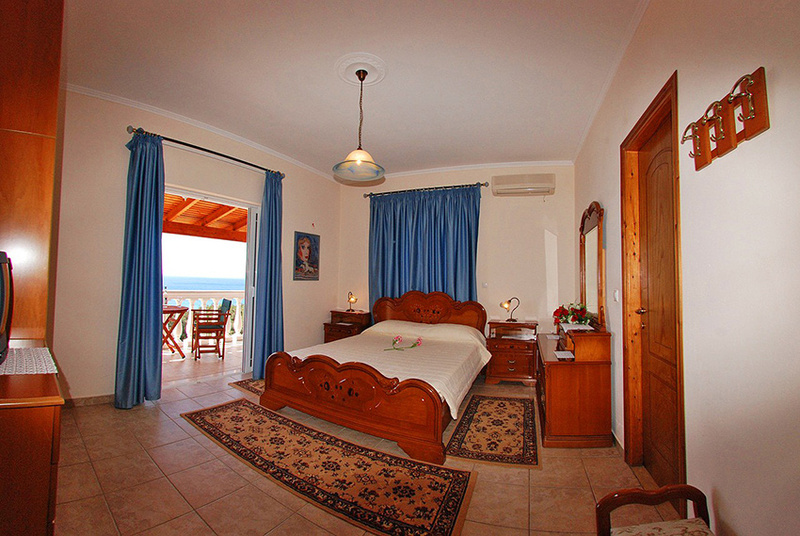 On the first floor of the Romantic Villa there are two bedrooms. The first one has two single beds, an en-suite bathroom with a shower, satellite TV, a wardrobe, air-conditioning as well as a terrace. 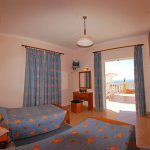 The second bedroom has a double bed, a wardrobe, satellite TV, air-conditioning, a safe, an en-suite bathroom and a terrace with a magnificent view.